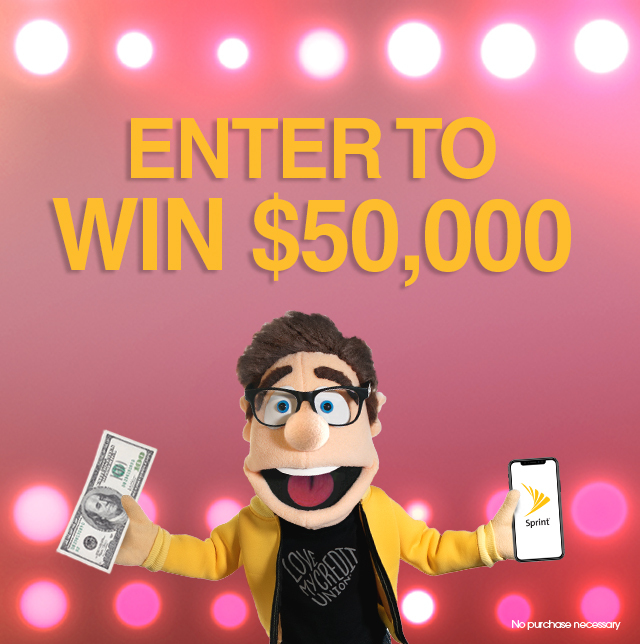 Sprint Cash Rewards is excited to invite you to enter the $50,000 a Month Summer Sweepstakes event EXCLUSIVELY available for members of credit unions. You read that correctly, not one, not two, but three $50,000 prizes will be awarded! That’s $150,000 in prizes, just because Sprint loves credit unions and their members. Picture the possibilities of what you could do with that much money! You could pay off your student loans, your home mortgage or your credit cards. You could travel the world and around this magnificent country of ours. You could buy a new car, or even a boat. Anything you want could be yours. And best of all, it’s free to enter. Just fill out the form below to throw your name in the hat for each of the remaining prize drawings. See official rules below for details. And don’t forget Sprint also gives every credit union member $100 per line for every new line activated with Sprint, so make the switch today!